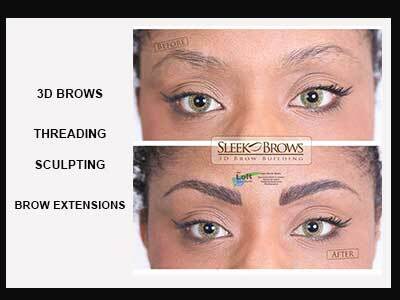 Learn more about eyebrow sculpting and eyebrow extensions! Yes, eyebrow extensions! I offer a unique 3d eyebrow sculpture service that can last up to 2 weeks. The product is a liquid sculpture paint that can be pigmented. This is a non-invasive procedure. You will not have to use your eyebrow pencil to fill in your sparse areas or to add depth.